We offer many ways to join our Circle of Friends and make a Donation - either to a Raffle Drawing, in-kind for the Festival, or join our Circle of Friends through a Financial Donation. Great raffle items include: wine, tours, retail goods, services, tickets to other events, cruises, cars, instruments, hotel stays, gift certificates, and more. In-Kind trade ideas include: media, hotel rooms, restaurant/food, tickets, transportation, signage, printing, web development/hosting, and more. Contact our team at info @ slo jazz fest. org (without spaces) or call us at (805) 459-6939. It’s time for shopping to feel good again! You can turn every online purchase into a free donation for SLO Jazz Festival Inc. just by using Giving Assistant. Giving Assistant shoppers earn as much as $700 cash back per year, and they donate a percentage of those earnings to organizations they value. Now, every purchase can result in a donation. Start donating with Giving Assistant today, and unlock deals like exclusive Aliexpress coupons, as well as big savings at JC Penney, Kmart, and more. With 3,000+ popular online retailers, your opportunities to save—and give—are endless. When you give to the SLO Jazz Festival, the benefits are many -- and the rewards are priceless! We're currently revamping our donation program. We appreciate all donations, and will customize the benefits for your donation - just call us and we'll hook you up! Donations of $2,500 or more become INNER CIRCLE MEMBERS. Download our current Membership Package for details. For more information, please call Scott Andrews, Executive Director at 805-459-6939. Thank you! 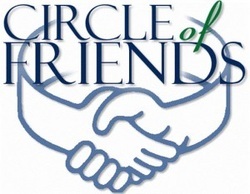 We're building our donation program and will offer many exciting special extra opportunities for our Circle of Friends. Contact our team for ideas at info @ slo jazz fest. org (without spaces) or call us at (805) 459-6939.